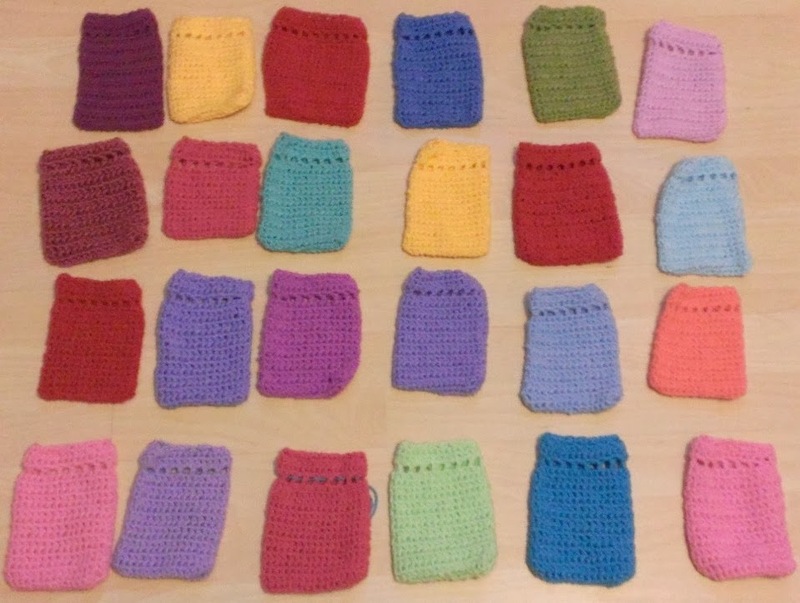 Last year I set myself a challenge to crochet advent bags for my daughter. I just about finished in time and they were a big hit. I wanted something a bit different that could be used year after year. We strung them up on our shelves and they looked really good. I bought a wooden village & spilt it between the bags so by Christmas Day she had a whole village. This year I have two girls to keep happy. I have bought BG beads and by Christmas she will have a necklace. For Little Miss I have an alphabet puzzle to split between the bags. My plan is to put them on a little Christmas tree is the kitchen and as they take one off they will replace with a decoration which will also be in the bag. Can you guess what my challenge is yet? That's right Christmas tree decorations! 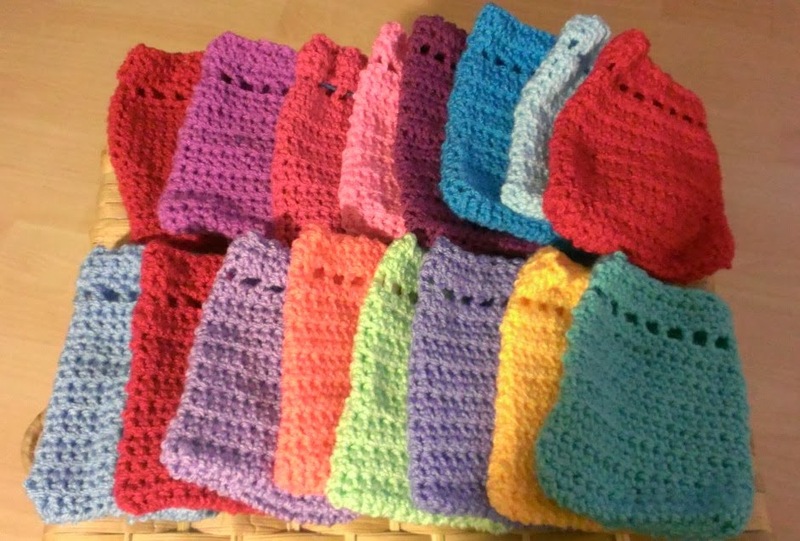 I am going to crochet one a day throught Novemeber and then there will be enough for each bag plus a few extra for gifts. 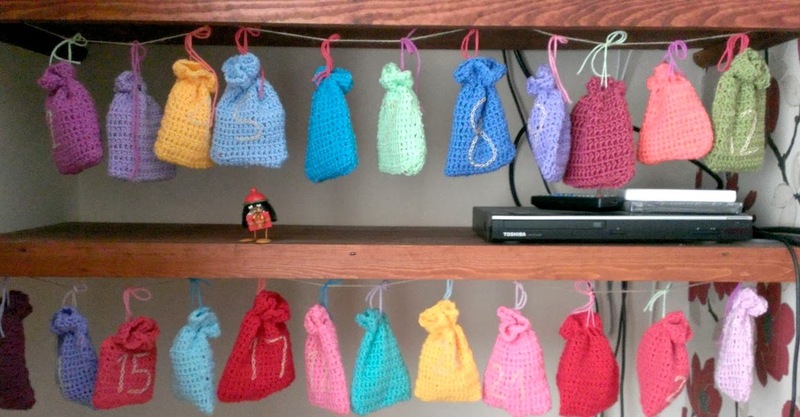 The bags last year were great but took a few hours each to make. 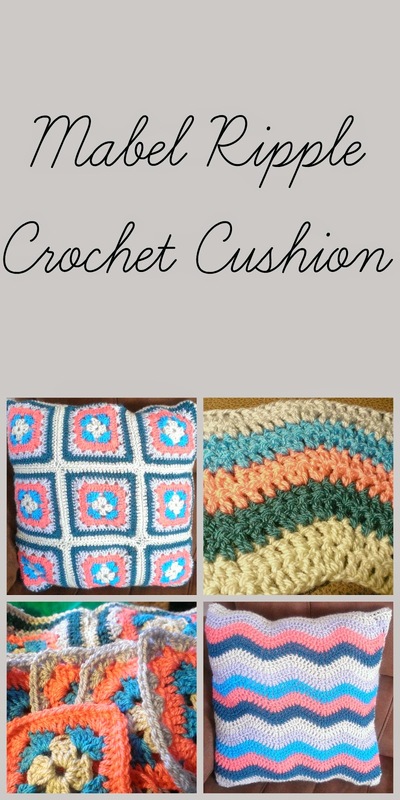 I want little items to make this year so I have time to crochet gifts and orders. 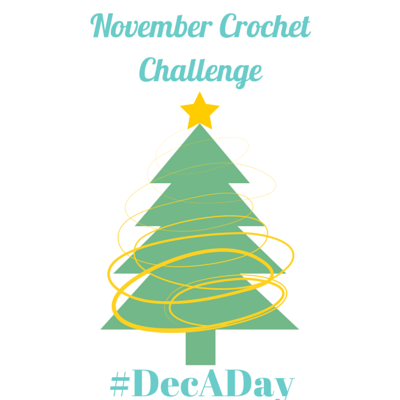 I will be doing a weekly post on my progress and posting daily on Instagram & Twitter using the hashtag #DecADay feel free to join me if you like. 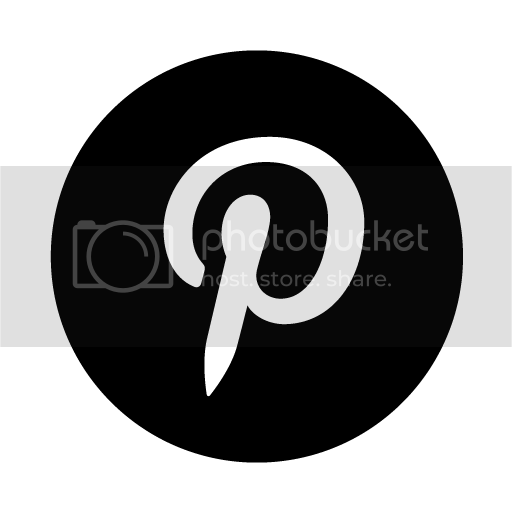 Make sure you share your makes with me.